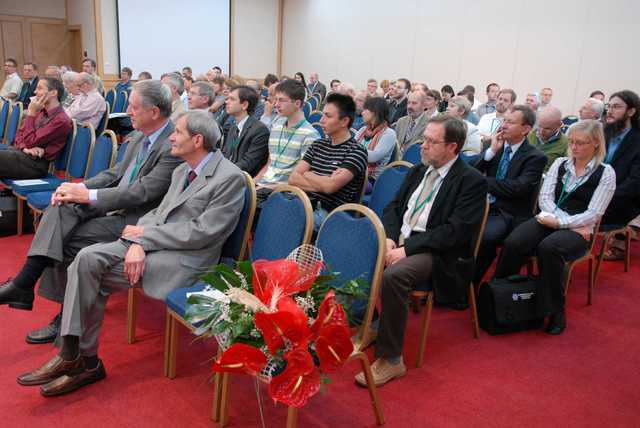 The XXI Conference on Applied Crystallography (XXI CAC) organised jointly by the University of Silesia and the Polish Academy of Sciences was held on September 20-24, 2009, in Zakopane, Poland. 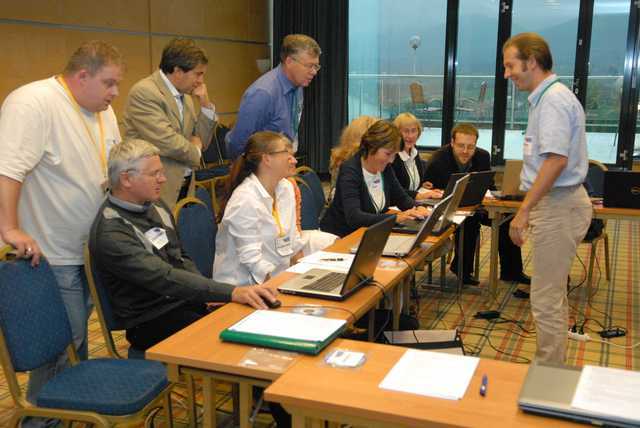 It was followed by a PDF-4+ User Workshop (September 24, 2009), a Summer School on Polycrystalline Structure Determination by Direct Methods, and a Summer School on Diffraction-Based Structure Anaysis in TEM (September 25-27, 2009). The Conference provided a platform for crystallographers, material scientists and solid state physicists to discuss methods and techniques used in crystallography studies, to present their recent achievements in solving different material problems, and to promote new ideas in the field of material science. The Schools provided an opportunity for participants to gain theoretical and practical knowledge on crystal structure solution from powder diffraction data using direct methods. First row from left: R. Neder (Germany), G. Kostorz (Switzerland), H. Morawiec (Poland). Second row from left: K. Szostek (Poland), T. Goryczka (Poland), L.McCusker (Switzerland), Ch. Baerlocher (Switzerland), J. Labar (Hungary), H. Boehm (Germany), M. Ivanov (Russia), D. Yastenko (Russia), E. Gerasimov (Russia), J. Morawiec (JEOL). Excursion to Chochołów village and highlander’s cheese tasting. From left: J. Drahokoupil (Slovakia), E.K. Polychroniadis (Greece), D. Oleszak (Poland), H. Morawiec (Poland), J. Latuch (Poland). Lecturers – from right (standing): M. Leoni (Italy), C. Cowder (USA), P. Scardi (Italy). 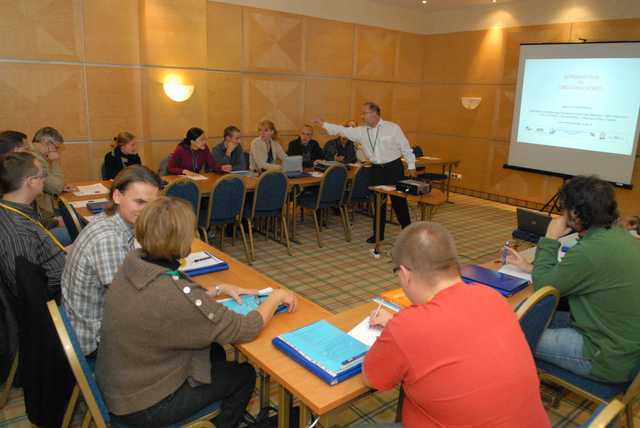 Lecturer – C. Giacovazzo (Italy). Lecturer – Stavros Nicopoulos (Belgium).